SAN FRANCISCO, October 10, 2018 – As genome editing technologies quickly advance toward clinical therapies, they are raising hopes of a completely new way to treat disease. They are also bringing to light a number of challenges that need to be addressed before potential treatments can be widely used in patients. To tackle these challenges and fuel efforts across the country, the National Institutes of Health (NIH) launched the Somatic Cell Genome Editing program. Among the program’s first grant recipients is a group led by Todd McDevitt, Ph.D., senior investigator at the Gladstone Institutes. The team was awarded more than $3.6 million over the next 5 years to assess the safety of genome editing in human cells and tissues. Jennifer Doudna, Ph.D., a senior investigator at Gladstone and a professor at UC Berkeley, also received funding to expand the current toolkit for human genome editing by exploring new CRISPR-Cas proteins and enzymes that can repair DNA. This program is funded by the NIH's Common Fund, indicating the importance—and promise—of genome editing technology, such as CRISPR-Cas9. 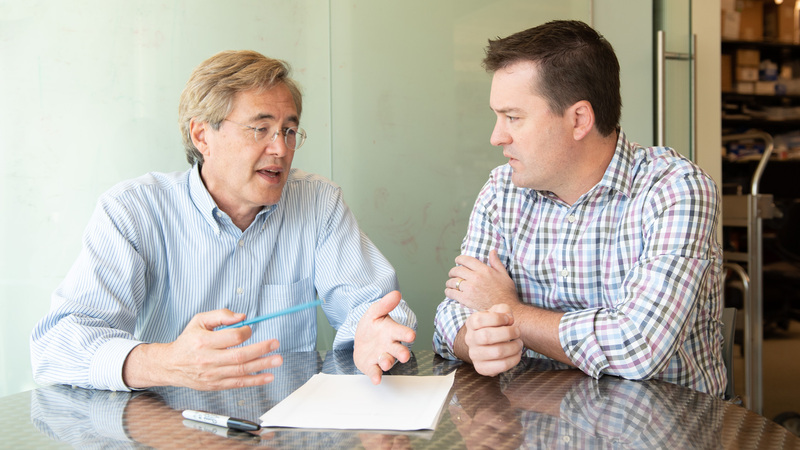 For his project, bioengineering expert McDevitt has joined forces with another senior investigator at Gladstone, Bruce Conklin, MD, who is pioneering an approach called “genome surgery,” which reflects the precision of customizing genome therapies to individual patients. Together, they assembled a team of leading investigators with complementary experience in tissue engineering, genome editing, gene therapy, stem cell biology, and single-cell genomics. Their collaborators include Andrew May, DPhil, from the Chan Zuckerberg Biohub, as well as Luke Judge, MD, Ph.D., and Nicole Paulk, Ph.D., from UC San Francisco (UCSF). Genome editing consists of making changes to a person’s DNA to remove, insert, or replace certain genes. So far, researchers have focused on exploring whether these edits are being made in the correct genes and whether other parts of the DNA are unintentionally affected. The new project proposed by McDevitt’s group will expand current knowledge by also examining whether genome editing could lead to unexpected changes in the function of cells or tissues. More precisely, they will study the extent of DNA damage that can be tolerated before causing adverse functional consequences. McDevitt will leverage his laboratory’s expertise in developing human microtissues that faithfully mimic the way different cell types are organized and function as complex tissues. These models will serve as an ideal platform to identify and quantify adverse outcomes in response to genome editing. Ultimately, McDevitt, Conklin, and their collaborators will share their models for widespread use by other program members. In doing so, they hope to provide the scientific community with a critical new platform to assess both the safety and effectiveness of genome editing therapies before they are routinely tested in clinical medicine.